Look at that. That brioche is sitting there like a cherubic little baby in its blanket. It’s the most precious sight in the whole world, I tell ya. In my cookbook, I mention(in great detail, I might add) how much I thoroughly enjoyed my first taste of a French brioche on a visit to Paris. Sitting in a classic Parisian café with my au lait, I nibbled at my petit brioche in a vain attempt to make it last longer than it could. Times like those helped me deal with the multiple deployments and crummy Army assignments. I mean couldn’t you, if that was the trade-off? The military has afforded my Soldier, me, and the Wonder Twinks many travel opportunities like our trip to the City of Love. Brioche is, plain and simple, egg and butter bread. In the bakeshop it’s considered an enriched bread because of the addition of eggs and higher amounts of fat. 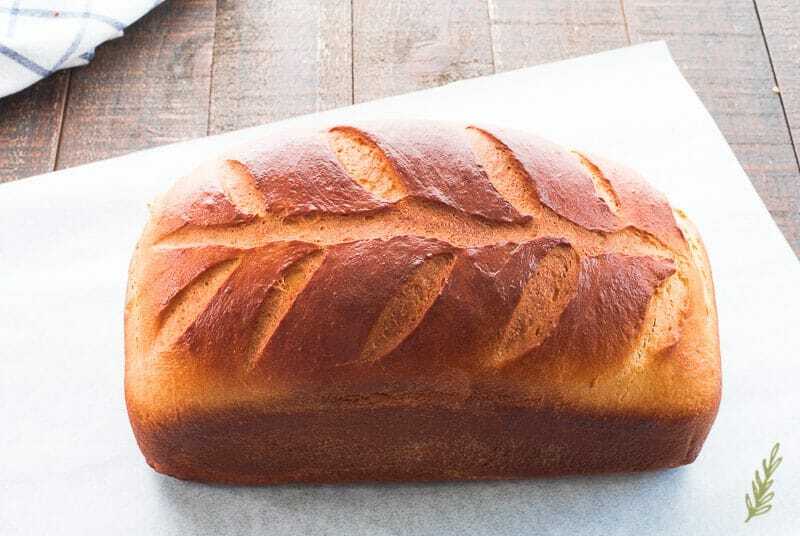 While brioche isn’t the sweetest bread around, it is sweeter than your typical sandwich bread. It’s also one of the richest breads you can make and, even better, it can be used to elevate so many other recipes. I have used brioche as the foundation for my stuffed french toast, this nutella and almond brioche, and even as a sandwich bread. It’s just a blessing to my soul, is what brioche is. How does one make a brioche? Start with the sponge. I go into detail on the different stages of breadmaking here. For now, I’m going to assume you’re familiar with the steps. First things first, as far as the brioche is concerned, you’ll need to add honey to a pot of warmed milk. The warmed milk, along with the sugars in the honey, give the active dry yeast something to nosh on. The yeast is the next ingredient in the developing stage of the brioche, it’s also the most important ingredient. It is what causes our bread to rise and have that amazing flavor bread is known for. 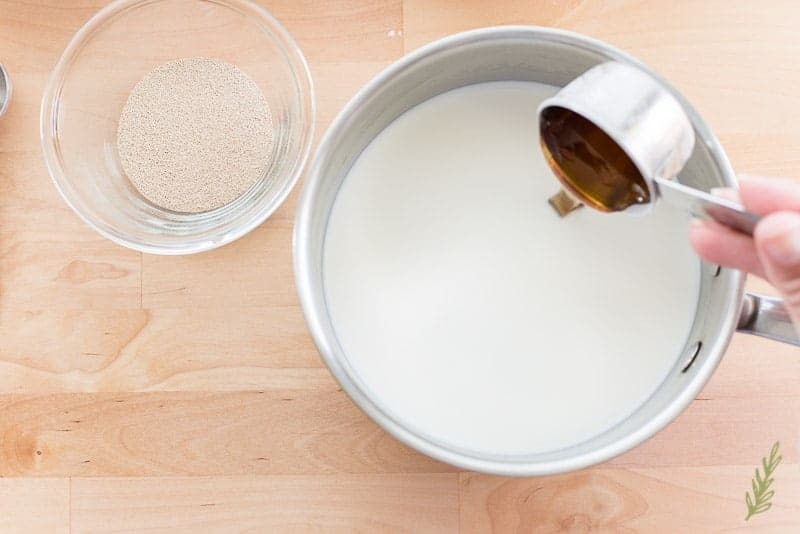 Add the yeast to the milk-honey mixture, and allow it to bloom for five minutes. The blooming process looks like a foaming in the pot. If the mixture doesn’t bubble and puff up, the yeast is dead and needs to be discarded. Start over with a fresh pack of yeast. 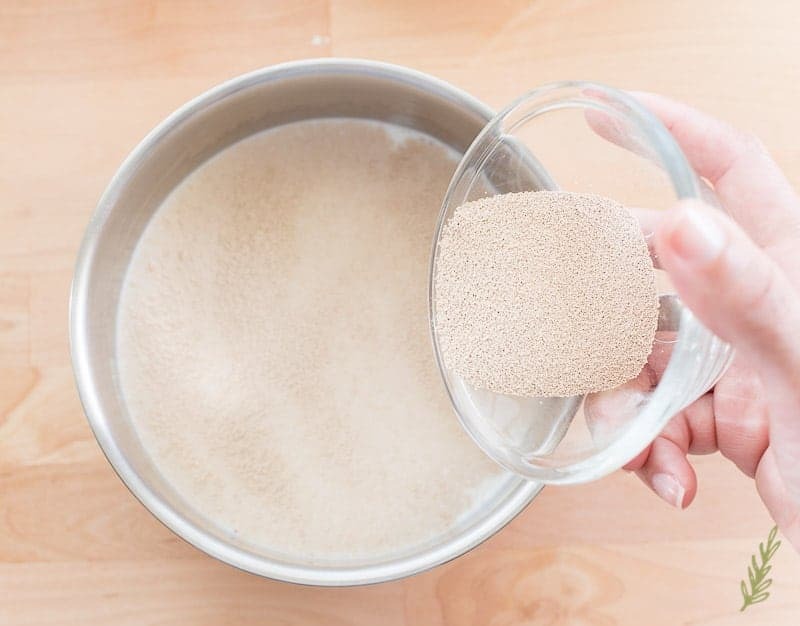 Once the yeast has bloomed for five minutes, whisk the yeast mixture into the first quantity of flour that you have in a large mixing bowl to finish the sponge. The sponge should resemble a thick batter. Cover the mixing bowl with plastic wrap or a clean kitchen towel. Allow the sponge to rise until it has doubled in bulk, usually about thirty minutes. Make sure you keep the bowl out of a drafty area. Warm and slightly humid is great. If I’m not already baking something, I put my sponge into a cold oven that had the oven light turned on. 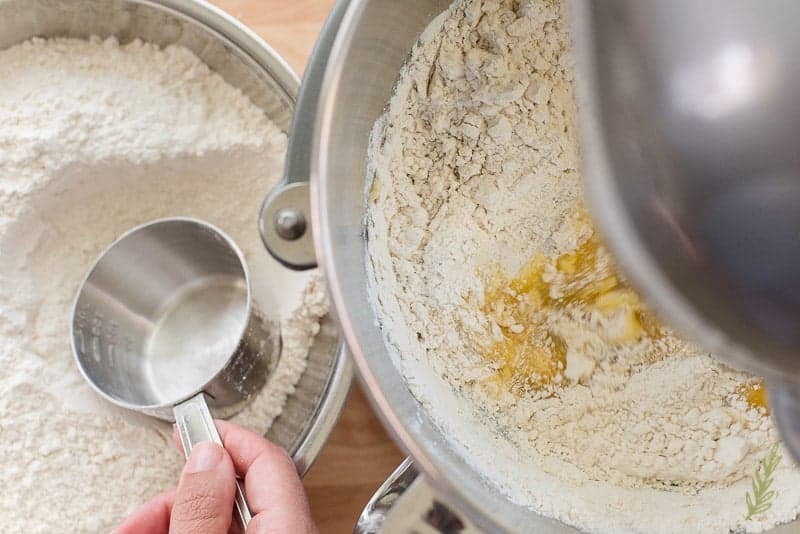 Transfer your sponge to the bowl of a five quart stand mixer. You want a bowl that’s at least five quarts because you need to allow room for rising. This cuts down on excess dishes- because I love you. I used to add my eggs one at a time, but I realized (after accidentally adding them all at once) that it didn’t make any difference in the final dough. Now, I chunk in the eggs, sugar, and salt in all at once and begin mixing with the paddle attachment. Slowly, add the remaining bread flour to the egg-sponge mixture. After the first two cups, the batter will become too stiff to mix with the paddle attachment. Switch to the mixer’s dough hook attachment and mix on the second speed until the dough comes together. Like I said before, this is an enriched dough. Please don’t try to substitute margarine, or some other God-forsaken butter substitute. YOLO, my friend. Life is short. Start incorporating the unsalted butter into the dough two tablespoons at a time. You’ll see the butter become absorbed into the dough and that’s when it’s time to add the next two tablespoons. Oh! Save the wrappers from your sticks of butter. I’ll show you why in a minute. Your dough should be soft, pliable, and smooth once all of the butter has been incorporated. Remove the dough from the bowl and, using those butter wrappers that I told you to save a little while ago, grease the inside of the bowl with the butter wrappers. Discard the wrappers now that we’ve sucked the life out of them. 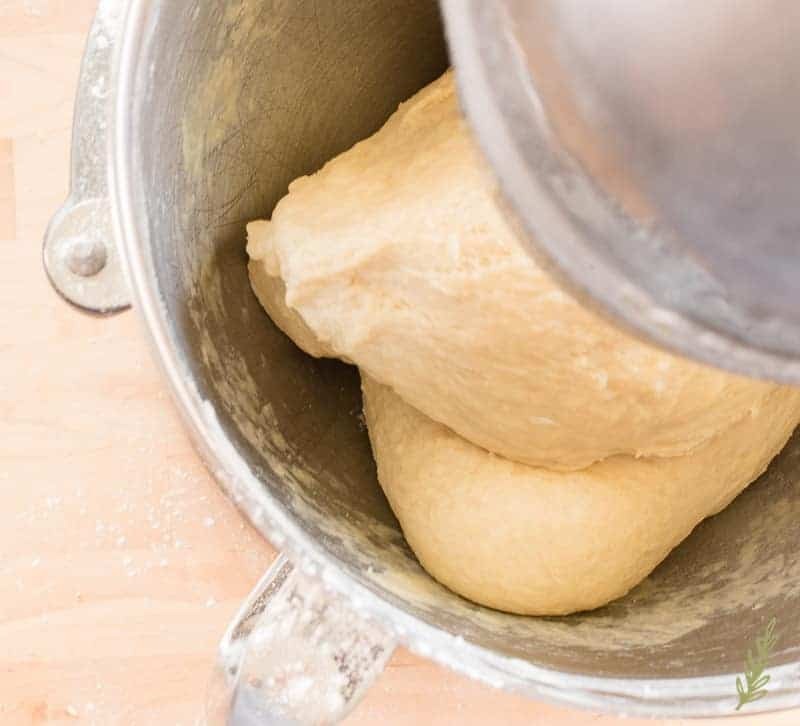 Return the dough to the bowl and turn it to cover the surface of the dough with a protective layer of fat. Cover the bowl with plastic film, or a kitchen towel, and allow the brioche to rise, on the counter, for an hour, or until it’s doubled in bulk. 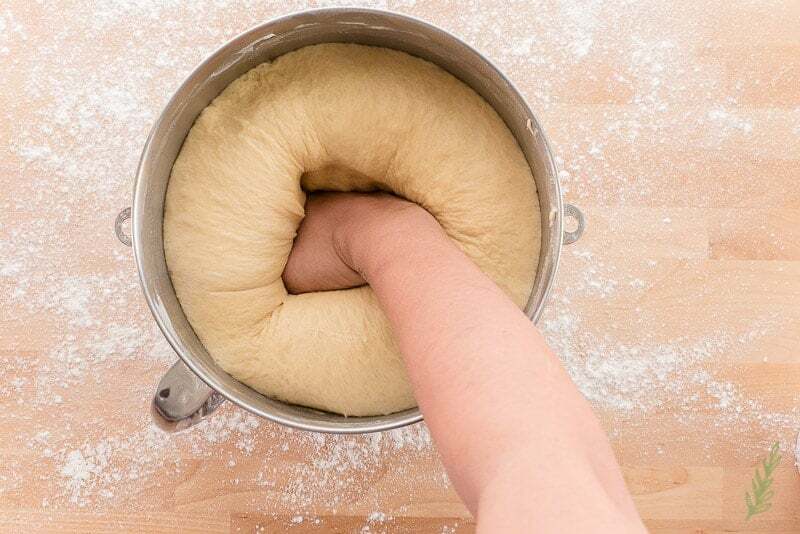 Punch the dough down to dispel the gases that have developed during the rising. Pan, Proof, Slash, and Bake. 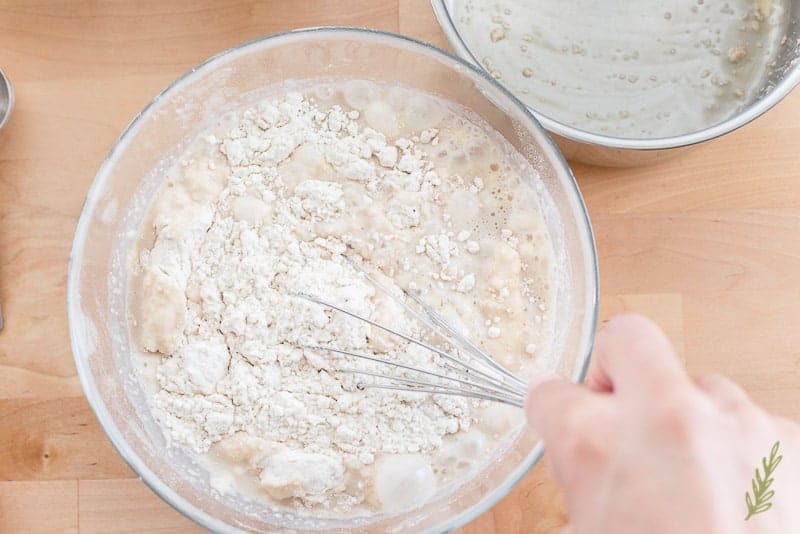 Turn the dough out of the bowl, onto your floured countertop. 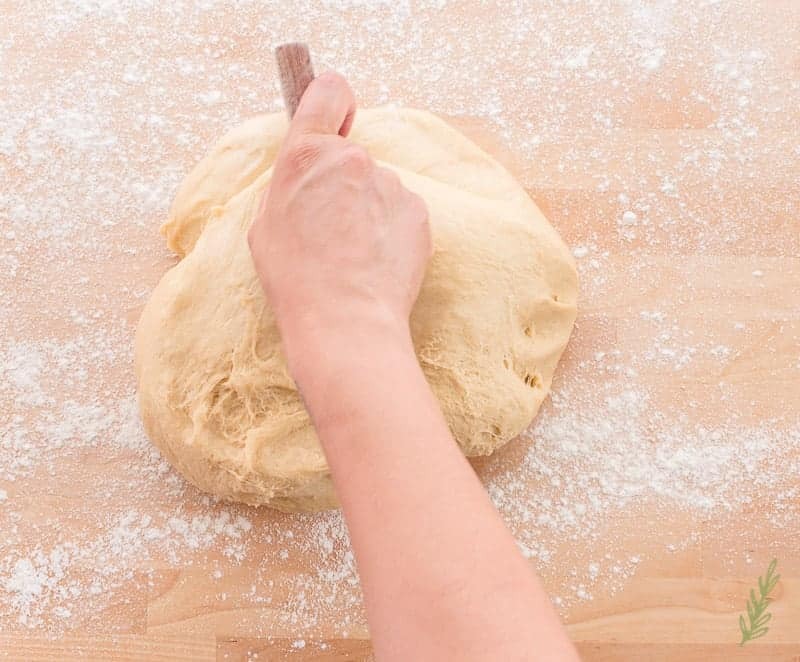 Use a bench scraper, or knife, to divide the dough in half. This recipe makes two one-and-a-half to two pound loaves. I won’t tell you to divide the recipe to make only one loaf because, after tasting it, you’ll be pissed off that you’ve only got one loaf of brioche. Make two. Freeze one for later. You’re welcome in advance. 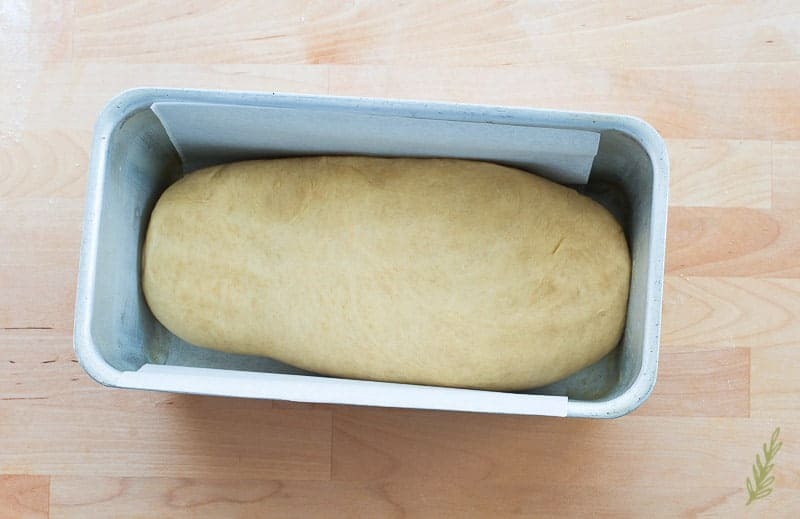 Form the halves into stubby rolls that are the length of your loaf pan. I like to line my light-greased bread pan with parchment paper to get a cleaner crust on the bread, but you don’t have to. Brush the dough with egg wash to prevent the surface from drying out. Place the pans into a draft-free area and allow the dough to rise until the top of the dough is about an inch below the top of the pan. This could take anywhere from thirty minutes to an hour. 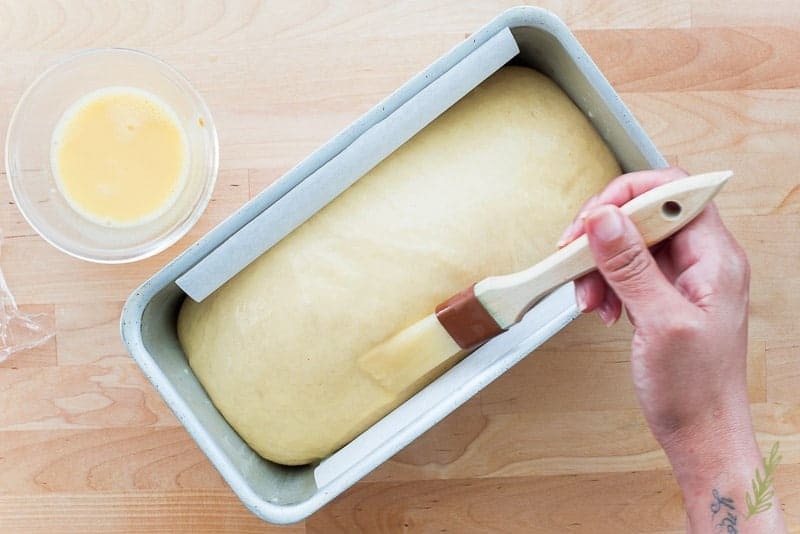 Use a pastry brush to brush another thin glaze of egg wash onto the tops of the brioche loaves. 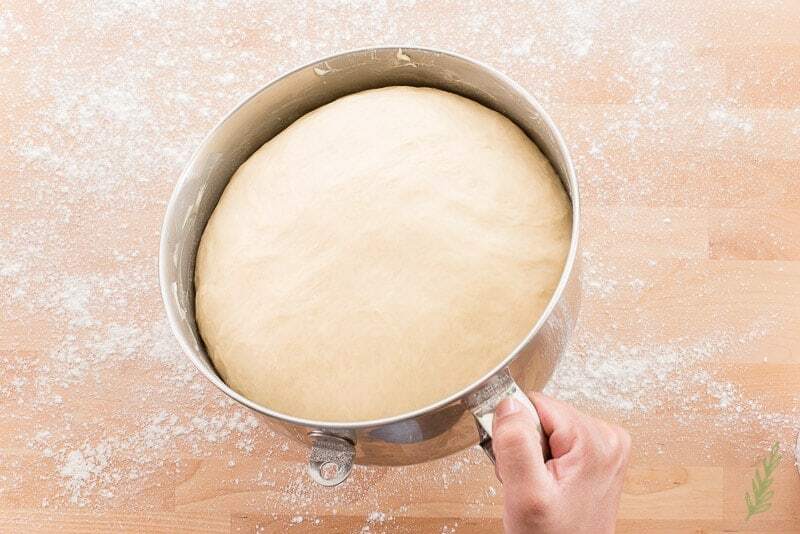 For a decorative crust, use a lame, or a clean razor blade, to make cuts into the surface of the dough. Bake the dough for thirty to thirty-five minutes, or until the top is a beautiful golden brown and the loaf sounds hollow when tapped. Remove the pan from the oven and allow it to cool down for ten minutes. 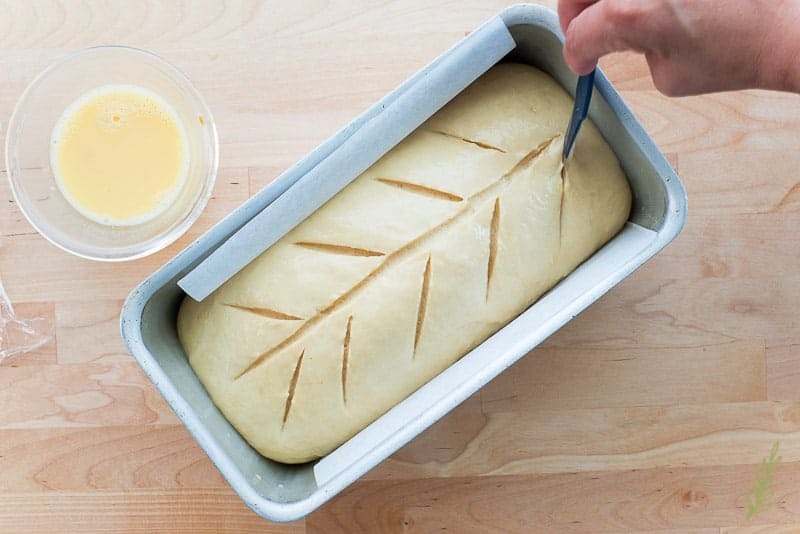 Turn the baked loaf out onto to a cooling rack and let it cool completely before slicing. This bread really does make me smile. I hope it does the same for you. Make time to try out this recipe- if you love it, share it with your world and pin it so you don’t lose it! Transfer the sponge to the bowl of a five quart stand mixer. With the mixer on low speed, and using the paddle attachment, mix in the eggs, sugar, and salt all at once. Once the mixture looks like a smooth, thick batter, slowly add the remaining bread flour to the egg-sponge mixture. 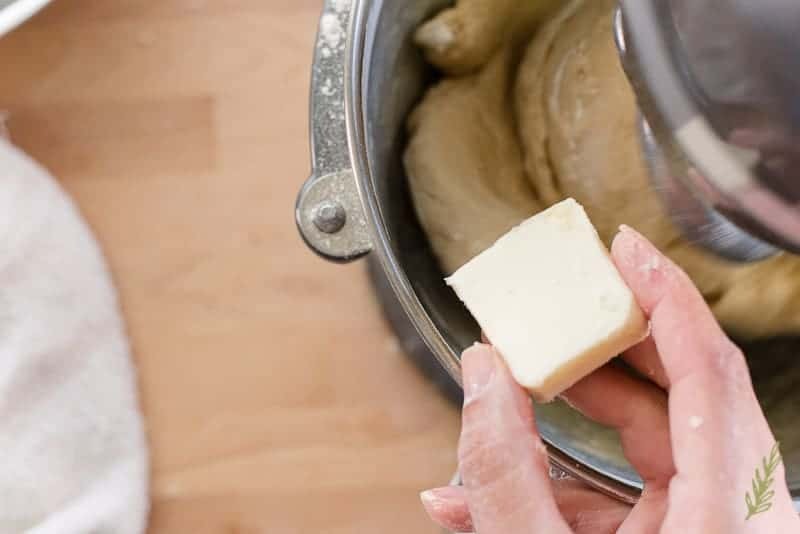 After the first two cups, the batter will become too stiff to mix with the paddle attachment, so you need to switch to the mixer's dough hook attachment and mix on the second speed until the dough comes together. Begin adding the butter to the dough 2 tablespoons at a time. Add the next 2 tablespoons only when the previous addition has been fully incorporated. Save the wrappers from your sticks of butter. Once all of the butter has been incorporated into the dough, the dough should be soft, pliable, and smooth. Remove the dough from the bowl and, using the saved butter wrappers, grease the inside of the bowl. Discard the wrappers. 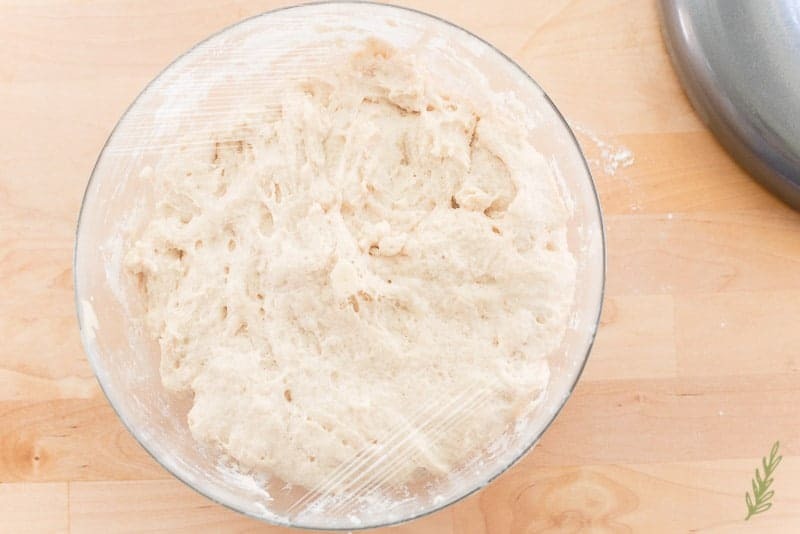 Return the dough to the bowl and turn it to cover the surface of the dough with a protective layer of fat. Cover the bowl and allow the brioche to rise for an hour, or until it's doubled in bulk. 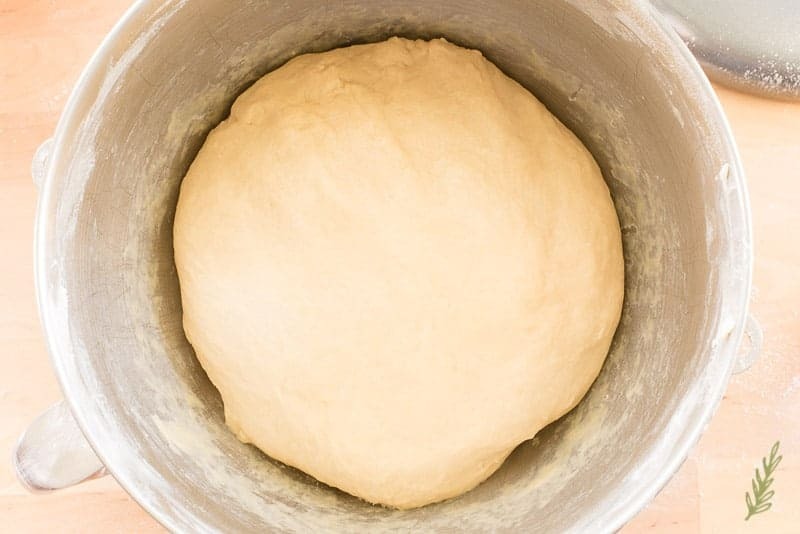 Once the dough has finished rising, punch the dough down to dispel the gases that have developed during the rising. Preheat your oven to 375°F. Lightly grease two loaf pans with baking spray. 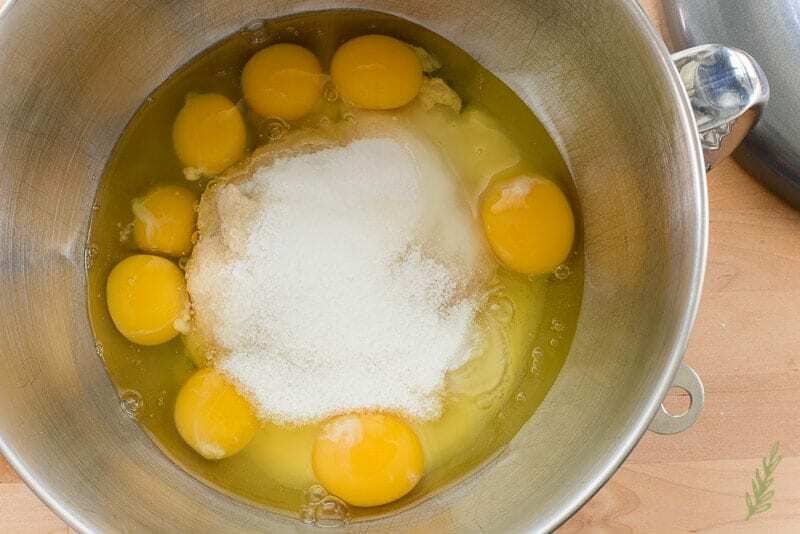 Combine the beaten egg and water in a small bowl and set aside. 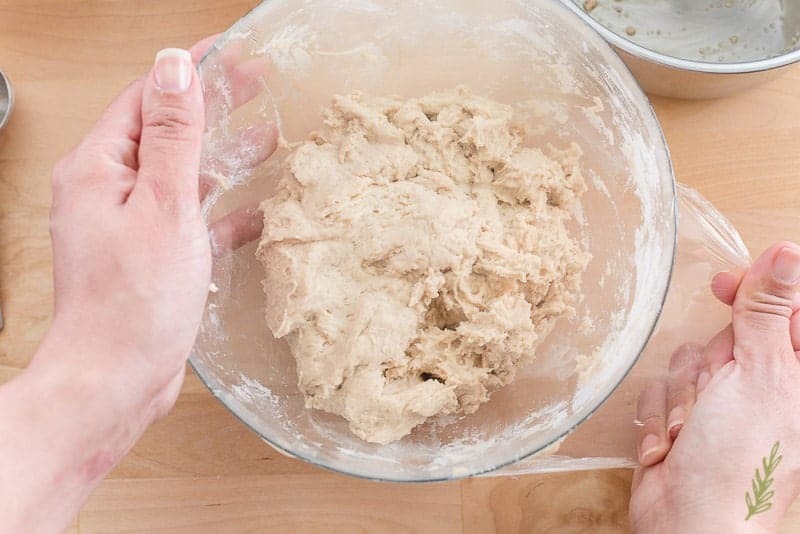 Turn the dough out of the bowl, onto a floured countertop. Use a bench scraper, or knife, to divide the dough in half. Form the halves into logs that are the length of your loaf pan and place them into the greased pans. 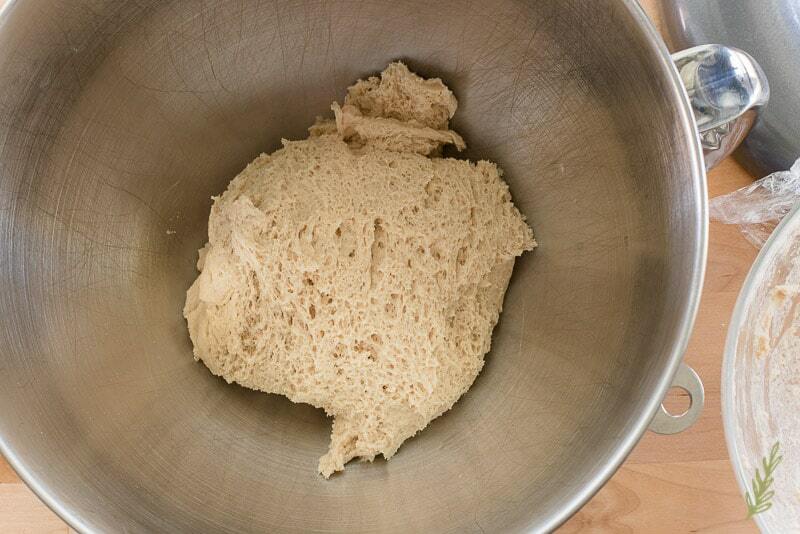 Use a pastry brush to brush the dough with the egg wash to prevent the surface from drying out. Place the pans into a draft-free area and allow the dough to rise until the top of the dough is about an inch below the top of the pan. This should take anywhere from 30 minutes to 1 hour. Brush another thin coat of egg wash onto the tops of the brioche loaves. If you want a decorative crust, use a lame, or a clean razor blade, to make cuts into the surface of the dough. Bake the dough for 30-35 minutes, or until the top is a beautiful golden brown and the loaf sounds hollow when tapped. Remove the pan from the oven and allow it to cool down for 10 minutes. 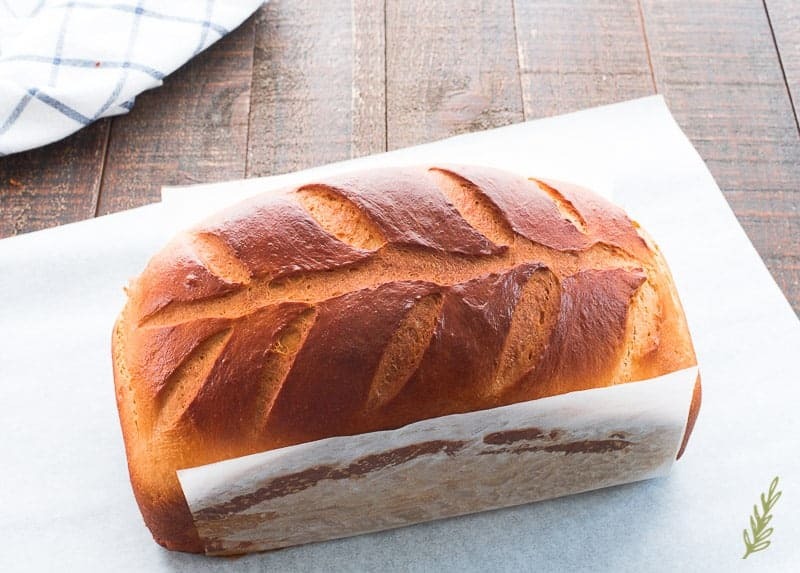 Turn the baked loaves out onto to a cooling rack and allow them to cool completely before slicing, or wrapping to freeze. The loaves will stay fresh for up to two days. Wrap them in plastic wrap, or place them into a food storage bag to prevent staling. This bread looks scrumptious! 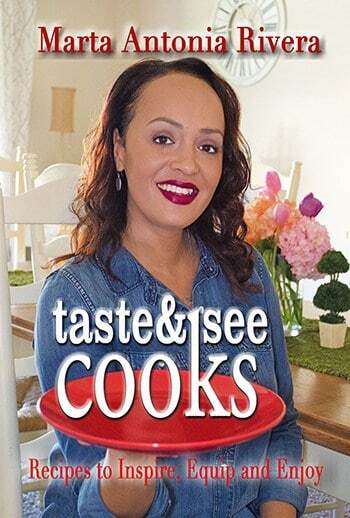 I want to try the recipe now! Have fun with it Steph! I think you’ll love it! I love brioche! We always stop by a few bakaries here in Austin, TX. And I had no idea so many eggs were used!! Like this post has just opened my eyes to everything I didn’t know about it. Yes, Gena! It’s a very rich bread dough. The eggs give it it’s amazing color, too. I really enjoy learning about new things while on your website. This is something I’m sure will make a great addition to morning brunches. That makes me happy, Aditi! 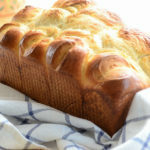 Brioche is one of my favorite breads! I’ve never tried to make it but this makes me want to give it to shot. For sure, Mariah! Try your hand at it. This recipe makes two loaves, so you can save one for later. I don’t bake that often but, I am feeling so inspired to make my own bread now! That’s awesome, Jen! I love the reward of making my own breads. This looks amazing. Legit the whole post from details to images. It looks like it turned out amazing. I definitely know what I’ll be trying this weekend. Thank you so much, Aleah! I put a lot of effort into making the recipe as informative as possible, so thank you for recognizing that. This look so good! I have a sourdough starter… do you think I could use it in place of the yeast? I don’t know that the flavor would be what it should if you begin with a sourdough starter, Marie. But, hey! It’s worth a shot, see what happens! I am so anxious to try this bread! I will make it within a few days. I hope I enjoy this bread as much as I have enjoyed reading about it. I vhave not had the opportunity to travel to France, or try this bread in the States. Your writing is not only entertaining, it’s full of passion. Thank you! Cynthia! Thank you so much for your kind comment. You don’t realize how much it encourages me. Let me know how it goes with the brioche! You’re going to love it! Can I use whole-wheat flour? I would use white whole wheat flour instead of the red whole wheat (the darker flour). It may end up a bit gritty, but should still taste amazing. Please do let me know what you think, Chantal! It has to be tough for you, I remember coming back to the States after living six years in Europe. I missed the bakeries so much. can I use this dough for cinnamon rolls? I read that one also. I make a mean cinnamon bun myself but have not made brioche before because it seemed difficult. This recipe is user friendly. Thanks you so much for getting back so promptly. I’ll let you know how they turned out. Please, do! If I can answer any questions you can message me on the FB page or IG page. 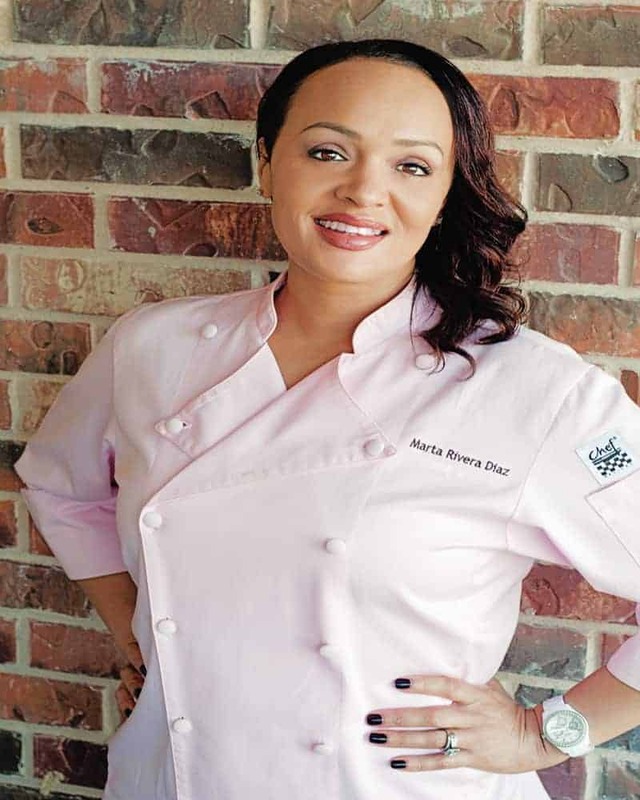 Marta, I am throwing out ALL other bread recipes. I have never been so impressed with a recipes results than this one. It was just as you described. I made the cinnamon buns.I had one last night and it was so light I could have had another. I had one this morning it was just as nice as last night. I can’t wait to start a complete cataloge of sweet rolls etc using this dough. Thank you . How much do I love this! I’m so glad you experimented and loved it! Thank you for sharing your results. Enjoy it in good health! Loved this recipe!! So easy to follow with your instructions & pics! When I made it however, it didn’t end up tasting as sweet as typical pan sobao tastes like. The texture was just right though. Is there anything I could change to make it sweeter?? Thanks! Thank you! But, if you made this recipe, it wouldn’t taste like pan sobao at all because this is a brioche recipe. If you made the pan sobao and accidentally commented on this recipe, you could just increase the sugar by a tablespoon or two. I’d be careful, though, as you can alter the texture of the dough with too much sugar.